Situated halfway between Europe and Africa, Malta played a central role in the battles for the mastery of North Africa. The island was the vital supply base for British and Imperial troops in the to-and-fro desert campaigns against first Italy and then Germany and Rommel's Afrika Korps. The three-year siege of Malta was one of the longest sieges in history. In this thrilling account the author, who first came to know and love Malta whilst serving with the Royal Navy during the Second World War, paints a vivid picture of the suffering of the island and its population. 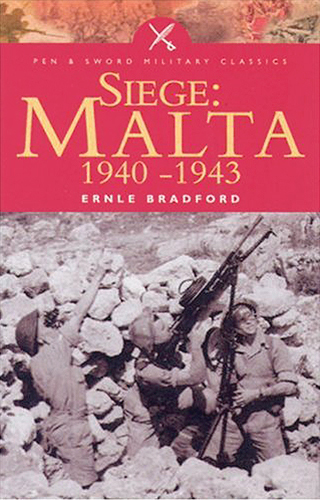 He draws on personal accounts and reminiscences of the participants; he tells of the occasional despair that turned to joy when the convoys got through with much-needed supplies and of the bravery of both the civilians and the armed forces stationed there that won for Malta the George Cross.